Reflect On:The evolution of the topic, and how it’s no longer taboo to discuss such things. Why has this topic been ridiculed for years, and now all of a sudden is being taken seriously? We are the aliens, but we just think they’re somebody else, but we’re the ones who came from somewhere else. Because somebody else had to survive, and they got in a little space craft and they came here and they landed and they started civilization here, that’s what I believe. And if you don’t believe me, go get books on the ancient Sumerians and see what they had to say about it, they’ll tell you right up front. – Astronaut Al Worden (watch interview here). The topic of UFOs is, without a doubt, no longer in the category of taboo. Many people are now well aware of their existence due to recent major mainstream disclosure via The New York Times and the Washington Post, and other major ‘establishment’ mouthpieces out there. It’s a very deep topic that branches off into several other categories, the questions of who, what, why, where, and when have all been discussed and researched at length by the ‘powers that be,’ all over the world. The disclosure the public received, however, wasn’t as intrusive, those involved in the current mainstream UFO disclosure/legitimization movement (major senior military personnel, renowned scientists and senior level intelligence officials) have done so in a very ‘light’ manner. It’s not something that’s going to blow your head off, but there have been some major disclosures, one being the fact that materials from these crafts have been recovered (crash retrievals), and that these objects perform capabilities that no known human aircraft can perform. With that type of technology, it is safe to assume (if not a drone) that the occupant has shielded themselves from the force that would knock them off their feet from starting, stopping, hovering etc. at such high altitudes. There is electrooptical data as well (radar returns, trackings, highly-trained witness observation), not to mention all of the witness testimony from insiders for decades. They have purposefully stayed clear of addressing whether or not some of these objects are extraterrestrial or not, they wouldn’t put one of these quotes within their articles, but people are starting to connect the dots. Personally, I think all of this mainstream UFO disclosure could eventually be used to actually debunk the idea that they could be extraterrestrial. Perhaps this is a genuine push for the truth, but the truth is so vast and so deep that disclosing everything is nearly impossible, it touches on all aspects of our current human experience, and is a major paradigm changer. It could also be used to push for a false flag alien invasion, or perhaps it’s just genuine slow disclosure as to not ‘upset’ the human mind. There are still many people sensitive to the idea of extraterrestrials, but how many are there really? Perhaps those people are actually in the small minority, after all, it is almost 2020. 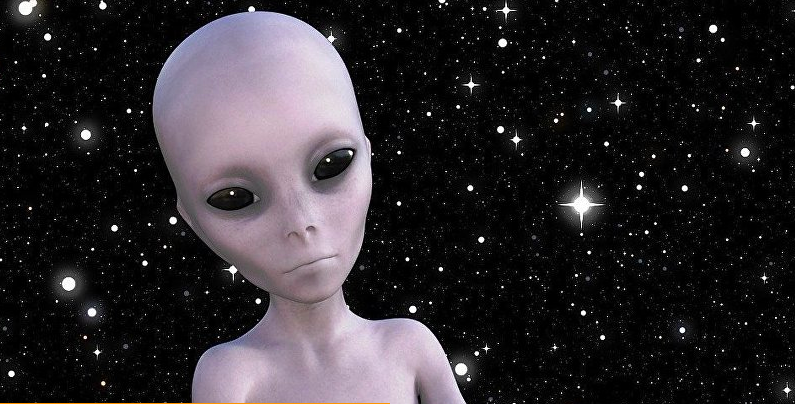 It’s Official – We Now Know That UFOs or ‘UAP’ Are Real – So Are They Extraterrestrial or Not? If this could all be true, then why isn’t their presence known en masse? Why don’t they just show up in a bunch of spaceships and say hello? By the way, ‘intelligent’ to me implies a civilization that has moved past conflict, hatred and separatedness into a higher conscious understanding. This state would in turn allow them to take care of their needs without ‘working’ like we do, and have the freedom to explore, grow and develop as a civilization. Perhaps we are not yet evolved enough for any type of interaction, just look at our own human experience and the way we treat planet Earth. There is much to do here, and it seems that we have free will to choose what direction we want to take the planet. As a collective, we are powerful, but powerful in a good way. Today, greed and ego drive the human experience, and the atrocities that take place at the highest levels of the pyramid are simply a reflection of atrocities that take place in our own lives in a different form. There are many judgments among people, there are many emotions of anger, fear, and hostility towards one another, which leads us to seem as though we may not be the nicest race. We are almost bred to enter into the system, to follow others instead of choosing our own path. There is no process of discovery, only following the will of those who dictate what is what. That being said, we are also a very beautiful race, with many positive qualities and characteristics that make us special. One thing is for certain, we have not yet reached our full potential. Perhaps 15 minutes where they are from, is 50 years here and/or vice versa. Perhaps we are part of something greater, maybe our minds are too fragile to accept such a thing, thus the process of slow disclosure. What about oil? These objects are not operating using gas. What about science, technology, religion, politics and history? The point is, the implications are enormous and if there are beings that possess millions of years of intelligence beyond our own, communication alone for them would be difficult, and they would easily see many issues and problems with making contact. Perhaps there are systems in place among highly evolved races that have protocols and structure for this type of thing? ‘First’ contact. Perhaps not every race would be out to destroy and concur. Just imagine yourself in your own spaceship coming upon a planet with other intelligent beings. What would you do? You would conduct surveillance. The argument commonly stated that “if they do exist, why don’t they just show up” is not as strong as one may believe. One thing is for certain, the story of extraterrestrials, extra-dimensions, and life on other planets and in other places is a conversation that’s going to become stronger every single year, and one day, it’s going to be a reality. This is all part of that preparation for humanity. I’ll leave you with this great clip, as I’ve done a number of times, from the Thrive documentary. His words are true, and if you do the research, you’ll find out for yourself. PreviousDave Murphy: Will Monsanto’s Loss Result In Less Poison In Our Food?